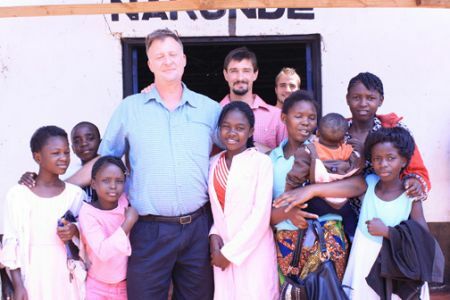 Partners Nate Tanner and Tom Bonham took a team to Zambia. 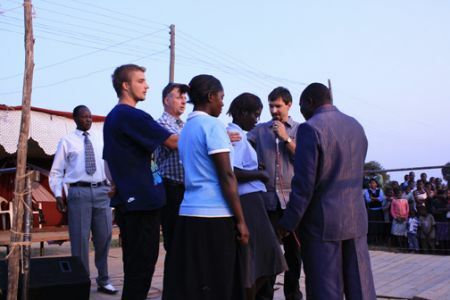 With the assistance of Partners Paul and Pamela Sichone in Zambia, they had wonderful meetings and ministry. Nate writes, "After six airplanes and eight hour drive by van we arrived in Nakonda, a small town on the border of Zambia and Tanzania. We started off our 2 week trip with a three day leadership conference, where up to 100 people participated each day. We had village pastors from both Zambia and Tanzania. My dad (Tom) and I had the privilege of ministering and teaching on Grace, The Message That Works. During the evenings we held a crusade along the Great North Road, a highway that stretches the full length of Africa. The second part of our trip was traveling to 4 nearby villages to preach and pray for the sick. We would teach in the mornings, then in the evenings we would start up the generator, set up our sound system and video projector and show part of the passion of the Christ. 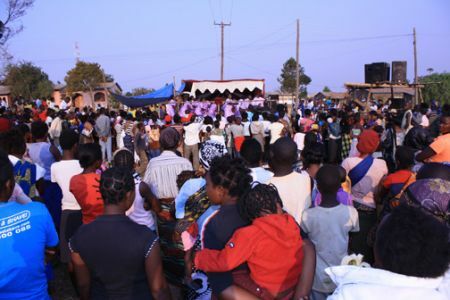 We estimate that throughout the crusade, the village ministry and the church outreaches, well over 10,000 people heard the gospel, with at least 5,000 raising their hands in response to the clear call to be born again. We also saw literally hundreds of powerful healings, miracles and deliverances take place." We will never forget the time we had together. 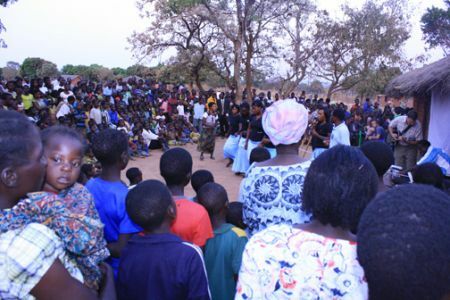 Lives have been transformed and churches are being started in the neglected fields of Zambia. We will having a big crusade in Ksaama. The word is spreading! Africa is awakening to the redemption work of grace! I am glad FMIN partners from the States went to Zambia. John, we are praying for you and yours! by: David K Remi- Kenya. May God bless you for this wonder full job of God did,come also Rwanda to minister. We are praising God for the message you brought presented to us truly its the gospel that works. We have so many testimonies. 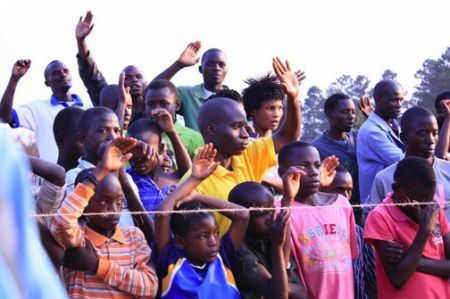 We pray that these guys will come back next year for a bigger meeting in Kasama town. Thank you for coming our lives are not the same. You gave us the powerful stuff. Branches are opening.